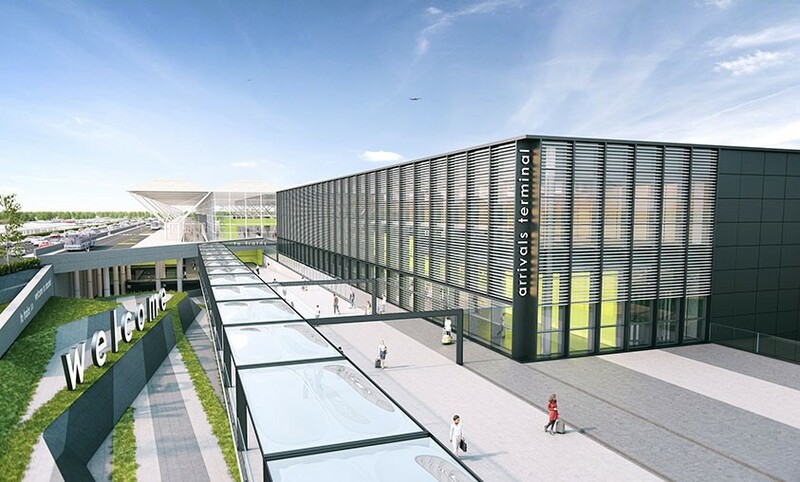 To meet the ongoing demand for air travel from our region and to transform the passenger and airline experience at London Stansted, we are investing £600 million over the next five years to deliver the biggest upgrade to the airport since the iconic Lord Norman Foster terminal opened in 1991. This investment supports the growth plan for London Stansted and will provide lasting benefits for passengers, airlines and our local economy. The centrepiece of the transformation project is a new arrivals terminal which will open in 2020. Costing £130 million, this state of the art facility will span three levels and will see all arriving passengers use this dedicated terminal for immigration, baggage reclaim and onward connections. The new terminal will provide convenient access to the train stations and other onward travel modes. We’re also remodelling the existing terminal to create a modern and spacious departures terminal. This will include 134 check-in desks, a larger departure lounge with more seating, shops, bars and restaurants to allow passengers to relax before flights. These upgrades will give passengers a more intuitive and easier journey through the airport and provide flexibility to allow us to accommodate new airlines as we grow. There will also more car parks to offer our passengers more choice as well as enhancement works on the airfield to create 24 aircraft parking stands so the airport can handle more flights each day. Behind the scenes we’re investing £40m on a brand-new baggage delivery and security system. Housed beneath the terminal, our complex network of conveyor belts will be completely reconfigured into a new fast-track delivery system, speeding up the time it takes for bags to travel from check-in to the aircraft. Phase one of the transformation project is well underway. We’ve already opened a new check in area, added additional seating and restaurants in the departure lounge as well creating more spaces in the short stay car park. This investment will transform the airport and help unlock London Stansted’s full potential to offer more flights and destinations and provide more opportunities for passengers, business partners and the local community.